I always love travel size products, it comes in handy when I go travelling or staycation. Thanks Luxola for sending me my favourite brand LANEIGE Perfect Renew Travel Set, it arrived on the perfect time just before my Perth Trip. I don’t have to transfer my skincare products from its retail size bottles to small travel size bottles, the travel set comes with a pouch which conveniently allows me to pack and go! 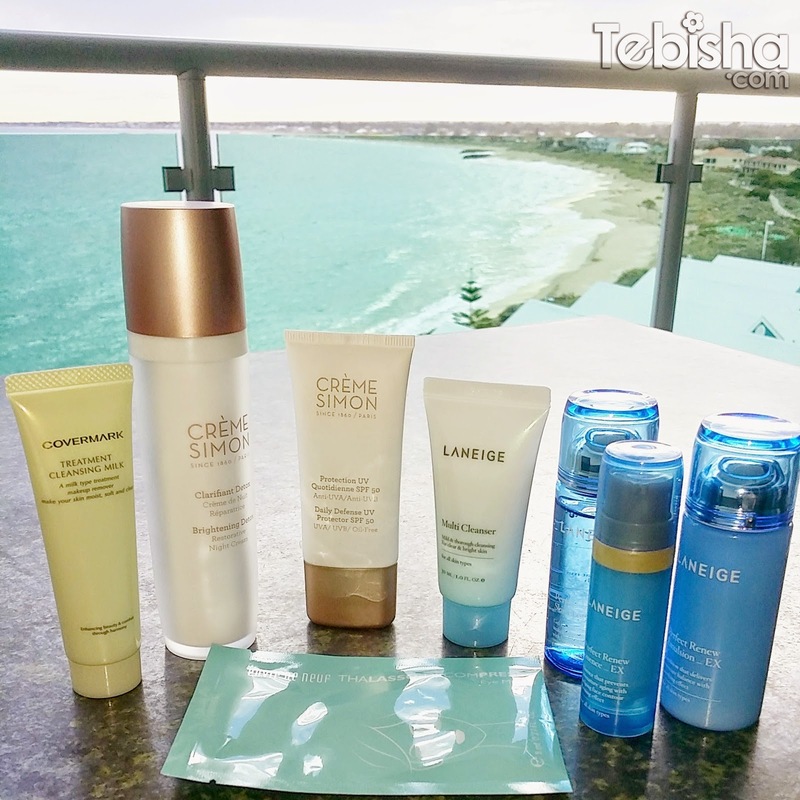 Besides LANEIGE Perfect Renew Travel Set, makeup remover, sunscreen and masks also included in my travel bag. Make sure my face is cleanse properly, protected from the sun UV rays and masks to keep my skin moisturise and hydrated! Beach view from our apartment at Mandurah Seashells Resort. 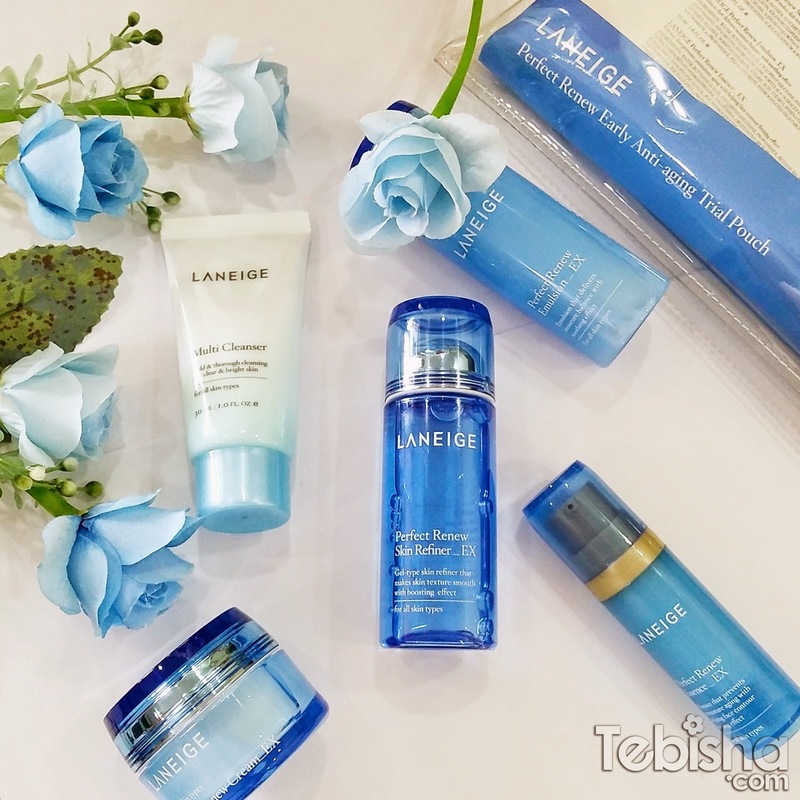 I have been using Laneige Multi Cleanser for almost 3 years, its my all-time daily facial cleanser. A 4 function cleanser of removing light makeup, sunscreen, exfoliating and cleansing, prefect for travel usage. It helps to double cleanse my face after using makeup remover. No tightness feeling, it leave my face refreshed and clean after wash. Perfect Renew Skin Refiner_EX is very different from the water bank series. Instead of water based toner, it’s a gel based type of toner that makes skin texture smooth and boosting effects. It helps me to keep my skin moisturised during the cold weather in Perth. Emulsion is always my choice of moisturiser, best suitable for oily and combination skin. Perfect Renew Emulsion_EX delivers moisture balance and soothing effect. Non-greasy and light texture. Essence is a must for cold and dry weather. I apply the essence after emulsion and cream. The light texture doesn’t make my skin feel oily and sticky. Perfect Renew Essence_EX prevents premature ageing with helping face contouring. Enhances elasticity and moisture barrier with repairing effects. I use emulsion during the day and cream during night. I feel cream is too heavy for my skin during the day, but great for night time. It helps to regain back the moisture during my sleep, I have bouncy and radiant skin the next morning. 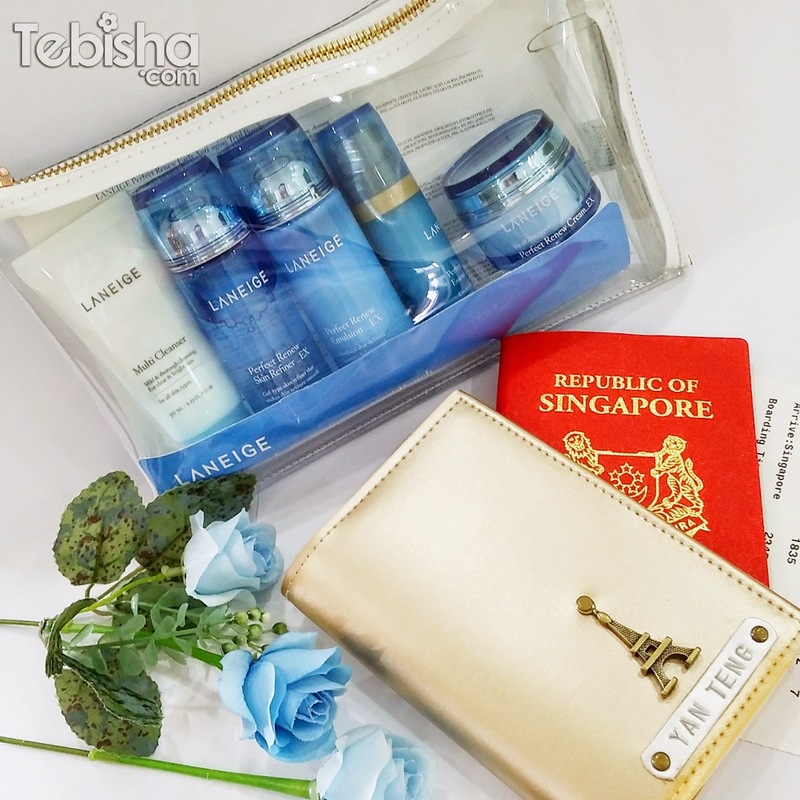 LANEIGE Perfect Renew Travel Set is available on Luxola (http://www.luxola.com/sg/products/laneige-perfect-renew-travel-set) for S$65. Quote “BLX-TEBISHA” upon checkout to receive 15% off for all first time order! Valid till 11 June 2015. This offer is not valid on non-discountable brands as found in the FAQ page. Talking about travelling, the next destination I wanna visit is Bali. Have been hearing from my friends how awesome Bali is and the great villas with its own pool. It has been a long time I went for a beach / relaxation holiday, Bali definitely going to be my next travel destination. Travel in style and enjoy the luxurious stay in the most affordable way! The Luxe Nomad offers the BEST rates online by working directly with approved villas and and hotels. On top of that, there’s also weekly exclusive “Nomad Picks” with up to 70% off normal rates. 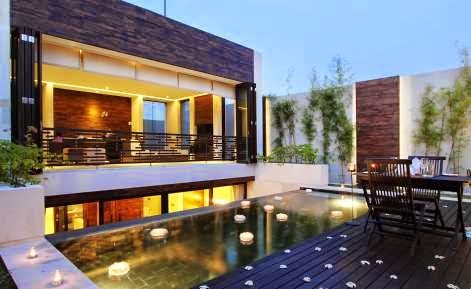 Over 200 villas in Bali for you to choose from!